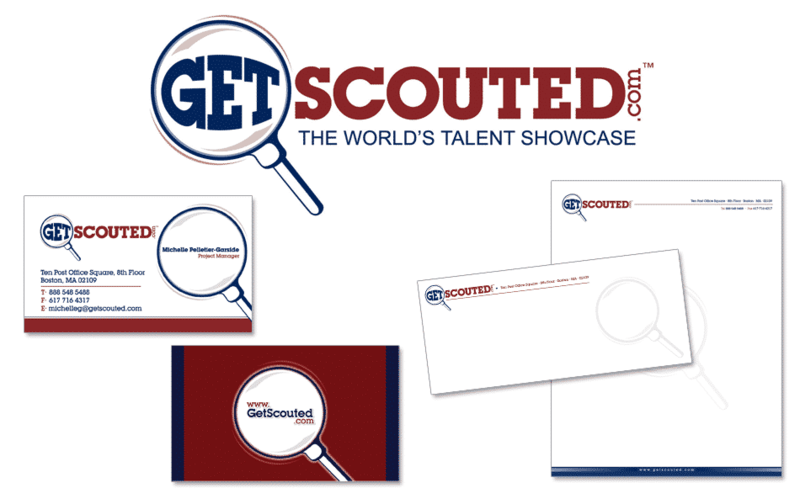 Get Scouted was coined as the World's Talent Showcase. 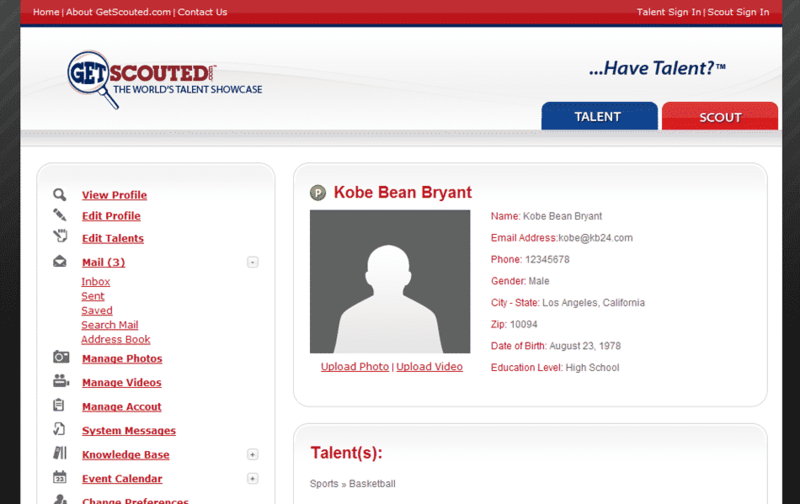 Talent registered with Get Scouted are seen by legitimate, well known scouts, schools, agents, and other professionals throughout the world. 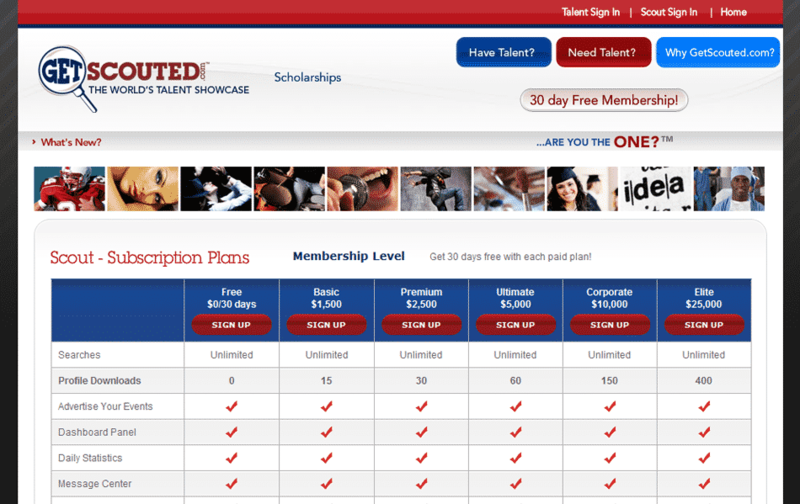 If you believe you are the one, and want to be discovered, sign up now for our 30-day free membership. Scouts, schools, agents, and other professionals who register with Get Scouted have access to the worldÔÇÖs best and largest showcase for sports, academic, film, fashion, and performing talent, and much more. 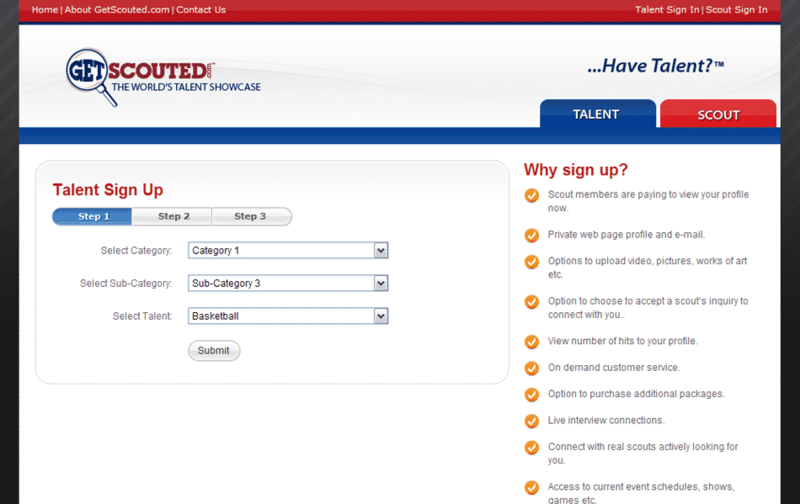 We bring all talent into one virtual marketplace. Get Scouted presented a true challenge to GoingClear. As a start-up company they approached GoingClear to develop their complete concept from the initial branding, to web strategy, design, development, user experience, Web Management, eCommerce, Registration and custom Administration and Affiliate Networking modules. Always enjoying a challenge, GoingClear took the Get Scouted project from initial design to launch over a three-month period. GoingClear developed their branding, web presence and complete website application by investing over 1,500 hours of time to ensure all functional specifications were satisfied. Prior to launch GoingClear served as Internet Strategists to the Get Scouted management team. I am writing to compliment the excellent services that the GoingClear team has provided to us on the design and development of our new web property. We are very impressed with the prompt and accommodating services that you have provided. On several occasions where we made last minute requests, GoingClear has also been able to accommodate within often times unreasonable timeframes requested. I truly appreciate and believe that excellent services in addition to technical web expertise will put GoingClear on a higher notch above its competitors. We are certainly looking forward to more opportunities to work with you again.